We remain very bad at updating this site; for all the latest news, please visit our Faceboook, Twitter, or Instagram pages. However, the new choral year has got off to a stonkingly good start. We have welcomed new choristers to the extent that we are having difficulty finding robes for everyone! Our Minster Singers have given their first concert, including a concert performance of Dido and Aeneas, to a very large audience and sing their first Choral Evensong of the term for Michaelmas, tomorrow. The Minster Choir has now sung several services, and has done so with aplomb with our newest choristers settling very well. The number of schools represented has increased this term, too. We now have eleven schools represented within the ranks of our Choristers, with more represented within the ranks of our Choral Scholars and Minster Singers. We have choristers who are educated in Caistor, Cleethorpes, Grimsby, and Louth and have singers who live in walking distance of the Minster as well as those who are driven for about thirty minutes to get here! Our schools’ work continues, apace. Our Director of Music has already been into a number of schools, and already has dates in the diary for further school visits, and to contribute to an assembly at one of the schools already visited, where he had the privilege of listening to almost every child in Key Stage 2 sing, individually. Our Associate Choristers have joined us for two rehearsals and a Choral Evensong and we have plans to increase their numbers, too. Our Director of Music is always happy to meet potential recruits for the Choir, whether they be children (from any school, boys or girls, aged 7+), teenagers, young adults, or not so young adults! 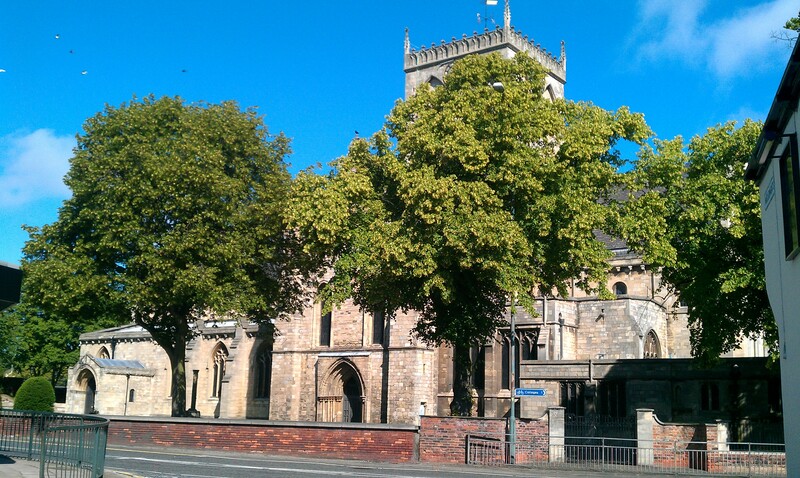 Email steven.maxson@grimsbyminster.co.uk for further details, or telephone Grimsby (01472) 277277. Our own Choristers lining up ahead of evensong with children from Grasby Primary School. We don’t seem to be very good at keeping this page up to date (for regular updates, follow our Facebook page at http://www.facebook.com/minsterchoirs). However, yesterday evening’s evensong was such a wonderful occasion to prompt even our reluctant scribe to put keyboard to screen! We are getting very used to working with primary schools, now, with several hundred children due to attend the Minster next month for our next Big Hymn Sing events. 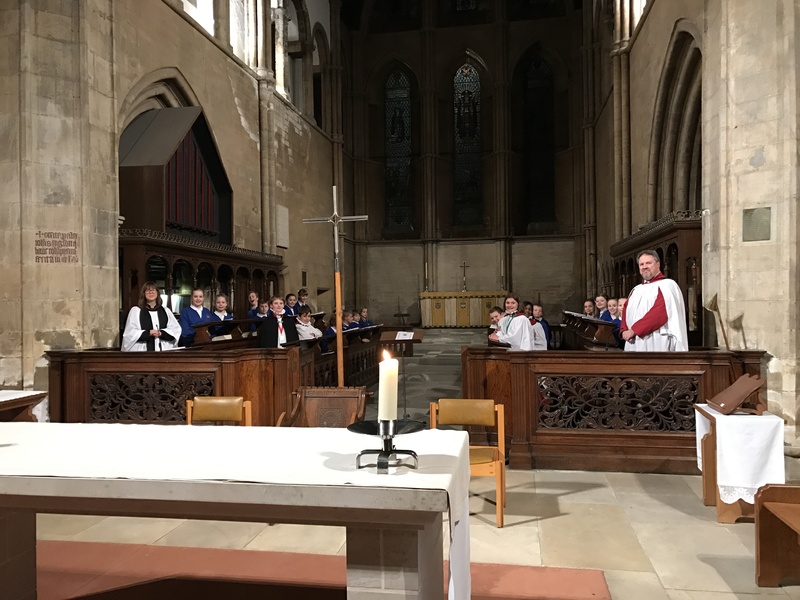 However, yesterday represented a new departure when Choral Evensong was sung jointly by our Choristers and by the Choir from Grasby All Saints Church of England Primary School. 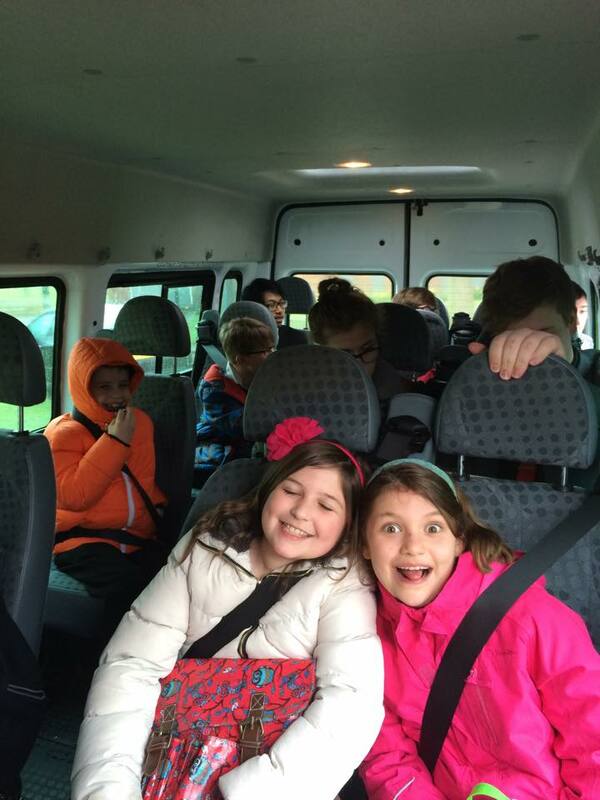 The children from Grasby had been taught the music by their Deputy Head Teacher, Mrs Kent, and arrived for an early rehearsal of music, spoken sections, and processions, before rehearsing alongside the Choristers. of parents, staff, and friends of Grasby Primary School, was a very moving occasion with the singing, deportment, and behaviour of all being excellent. The next stage is an evensong in Grasby church itself, sung entirely by children from Grasby. At the Minster, we would love to do it again, both with children from Grasby but also with children from other schools. 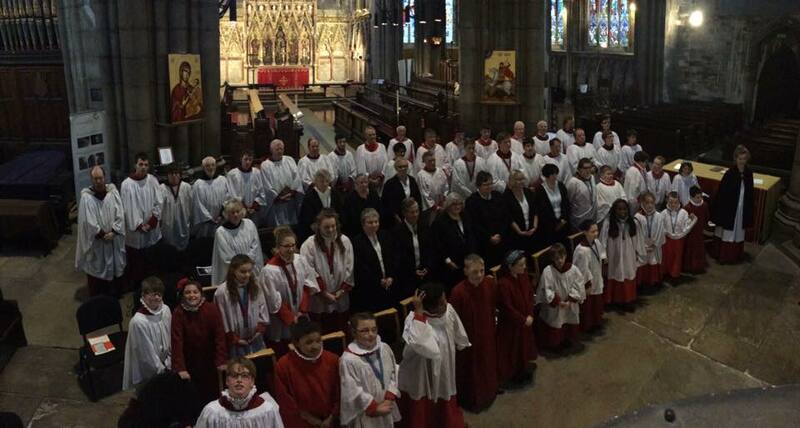 There is a long tradition of high quality choral singing at Grimsby Minster but recent developments have made the opportunity of being a part of this wonderful tradition much more inclusive. The main Minster Choir is now open to girls, boys, and teenagers from any school in the area, as well as to experienced adult singers. The Minster’s Director of Music has launched a number of projects working with children both at the Minster and in their schools which has seen the number of children singing at the Minster more than double since Christmas. Members of the Minster Choir come from eight different local schools, academies, and colleges, including 70% from just one school: Lisle Marsden Primary Academy! Since September 2014, a second choir has been formed to sing at services in the Minster, now known as the Minster Singers. This is a group of teenagers and adults, all of whom are highly skilled singers and sight-readers and rehearse briefly before singing one or two monthly services. 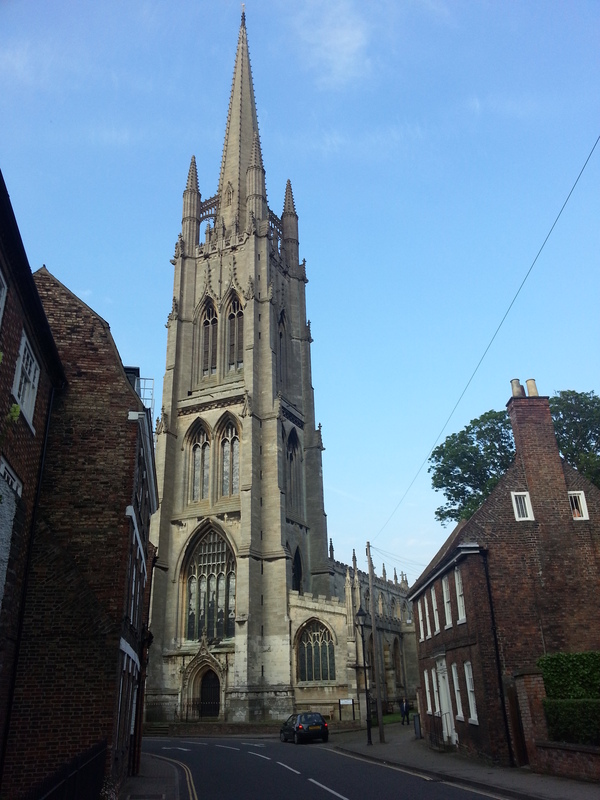 This has further broadened the base of singers at the Minster, including opening regular opportunities up to adult singers who had previously been denied the chance to sing here. 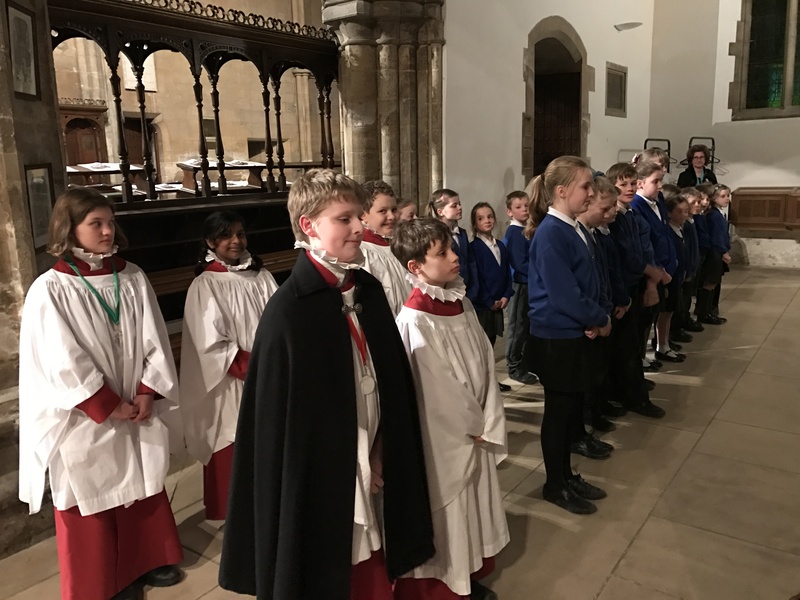 In addition to these two Minster choirs, we welcome two children’s choirs to rehearse weekly at the Minster, both organised by the local Music and Performing Arts Service. These two choirs, Songbirds and Youth Voices, take children from age 5 to late teens and are non-auditioning. There is truly a choir for everyone at the Minster! 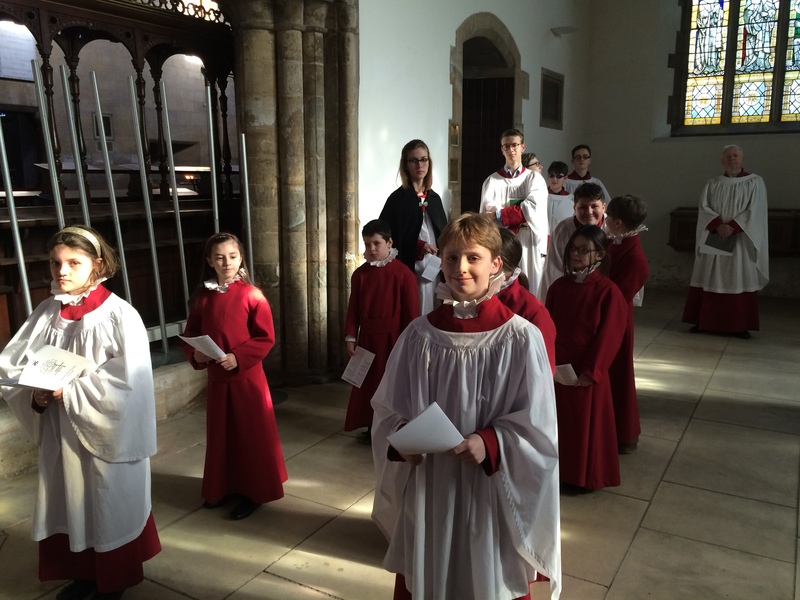 The Choristers and Choral Scholars lining up ahead of Choral Eucharist, along with some of our new recruits. There is much excitement around the Minster, at the moment. In the last two weeks, we have welcomed five new choristers, all from Lisle Marsden Primary Academy, after our Director of Music listened to every child in the top three year groups at the Academy. Last Sunday saw Amy-Louise, Jessica, and Lilly singing at their first service, and doing so extremely well. They not only managed to sing all of the music well, but also processed as though they had been doing so all of their lives. 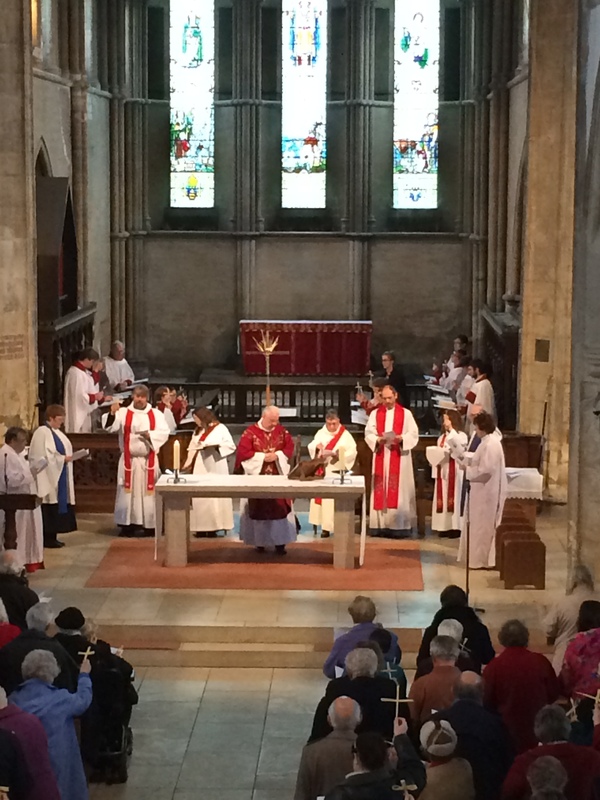 At the same service, Jack was awarded with his surplice, marking his admission as a full chorister within the Choir. Since then, at our most recent rehearsal, we were delighted to welcome Maurice to the ranks, who did very well, too. We have also been pleased to have the support of some additional helpers in our rehearsals, to help our new members to settle in. 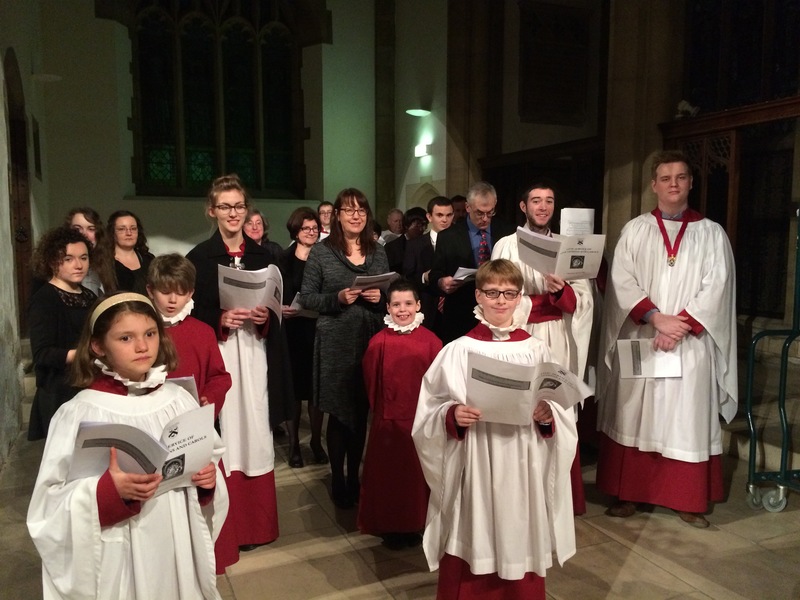 Thank you to Mrs Maxson, Mrs McNally, and to Choral Scholars Charlie, David, and Lyle.